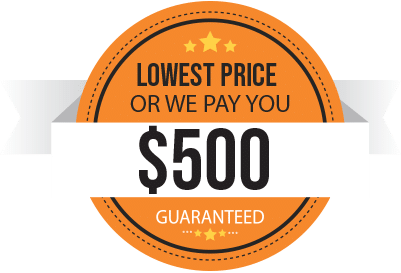 *Offer Details (Our Best Price Guarantee or $500): Our best price guarantee only applies to manufacturer brands and models that Del-Air sells. Quotes must include all details related to installation and exact equipment, including manufacturer and model. All equipment must be new, currently available makes and models. No discontinued or previous years’ equipment will be eligible. Competitor must be an authorized seller for the manufacturer. In Tampa, air conditioning is an integral part of any home or business. Del-Air offers the top brand names in air conditioning equipment, which will not only cool your home, but also lower your monthly utility bill and keep your air clean. We have units with high SEER ratings, which lower the electricity needed to cool your property, and those with humidity control to boost cooling efficiency. Some units also come with HEPA filtration, which can keep your air up to 99.97 percent clean. Del-Air offers residential and commercial customers a selection of extended warranties, as well as special financing with approved credit, convenient monthly payments and other affordable service and maintenance programs. Are you due for a new system? The EPA recommends replacing your air conditioner every 10 years and your heater every 15 years. The advancements in efficiency alone are often enough to pay for themselves in very short time. Stop in and see some of the latest features available and find out how they’ll impact your comfort and cost savings. Del-Air has been carrying premier appliances in the area for two decades. We work with you to find the right appliance to improve the comfort in your home or business. We specialize in working within customers’ budgets, all while bringing you the best quality appliances available. From assessing the power and features you need to ensuring installation goes as planned, you’ll find our services don’t leave you wanting more. Following your purchase, we dispatch a professional, efficient, and factory-trained technician to arrive on time and install your appliance in your home. Del-Air has developed a reputation for designer styling, innovative features, environmentally-friendly products and complete customer satisfaction. Need Sales Or Service in Tampa? If you’re sure your existing unit is meeting your needs, keep it performing at top speed. 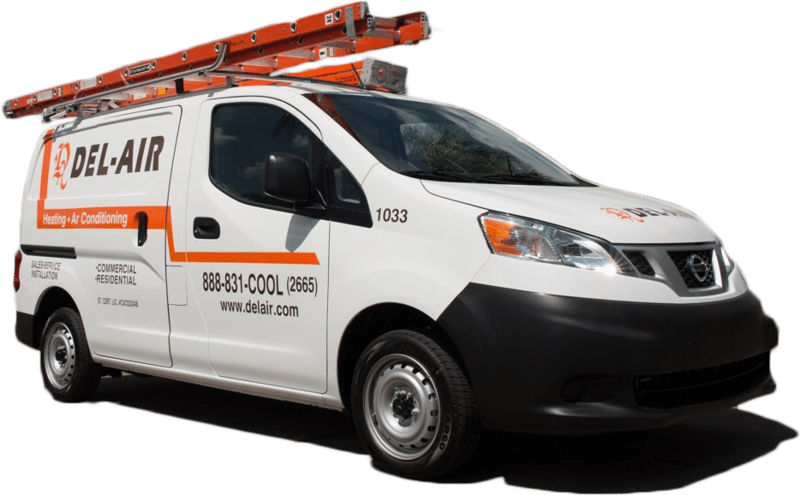 Del-Air will keep your equipment running strong through routine maintenance and air conditioning repair. Preventive maintenance allows you to get the best performance out of your unit while saving you from unexpected repair costs. We have multiple packages that meet your needs, and we offer a free consultation to determine what is best for your property. Once you’ve established a relationship with Del-Air, you’ll also have the benefit of having your repairs handled fast. Talk to a service representative about the expedited repairs enjoyed by our loyal customers. We will work you in as quickly as possible. Thanks to the 30 years we’ve spent as a top-performing Tampa, FL, heating and air conditioning service provider, you can rest assured we’ll have your problems solved fast! As an EPA-certified company, we strive to give you the best option for HVAC support. Whether you need a small heat pump or you want a new HVAC unit, Del-Air is ready to work with you. We’ve been ensuring satisfaction for customers for more than three decades by offering the best brand names and technicians in the state. Del-Air offers 24/7 service, so call us whenever you have a concern. Prevent discomfort and expensive damages by scheduling a service visit with Del-Air, your Tampa, FL, heat and air professionals.